Pairpoint usually decorated this blank with hummingbirds and roses. 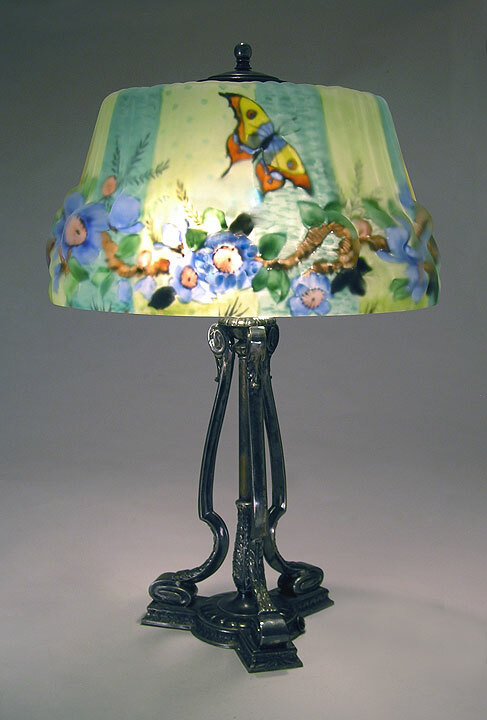 It's rare and very nice to find this puffy lamp painted with butterflies and dogwood flowers. Great color. Mint condition. Silver plated base. Signed. 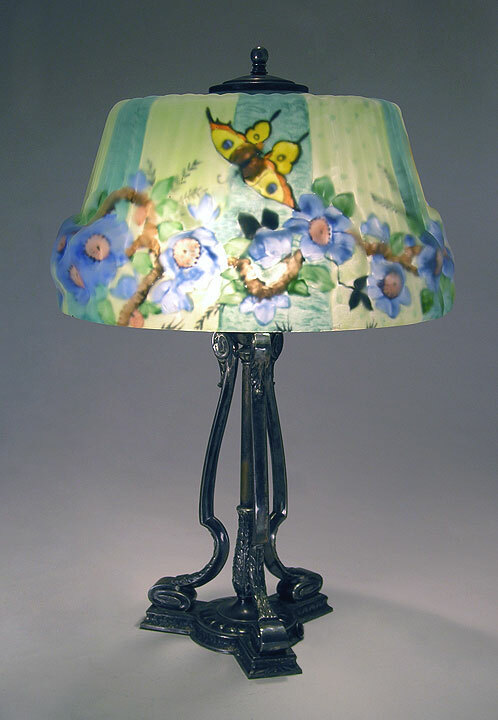 Pairpoint used butterflies in other puffy lamps, but very few puffy shades have butterflies as the main subject matter. 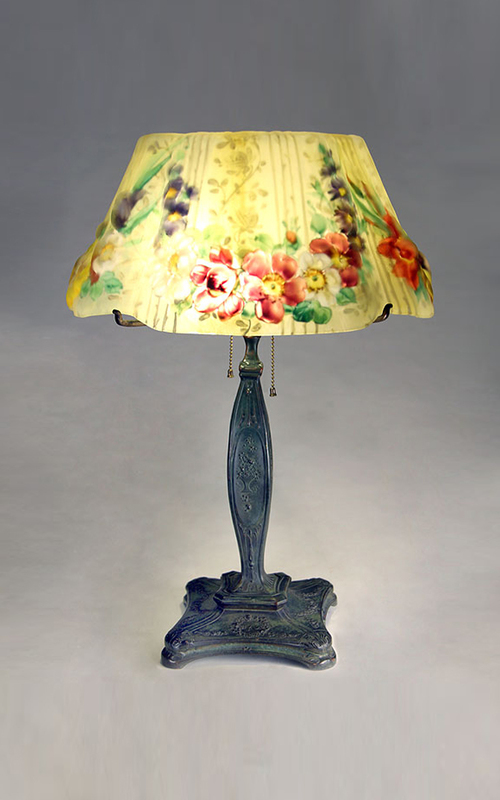 This boudoir lamp is a great little example. Signed base and shade. Mint condition. 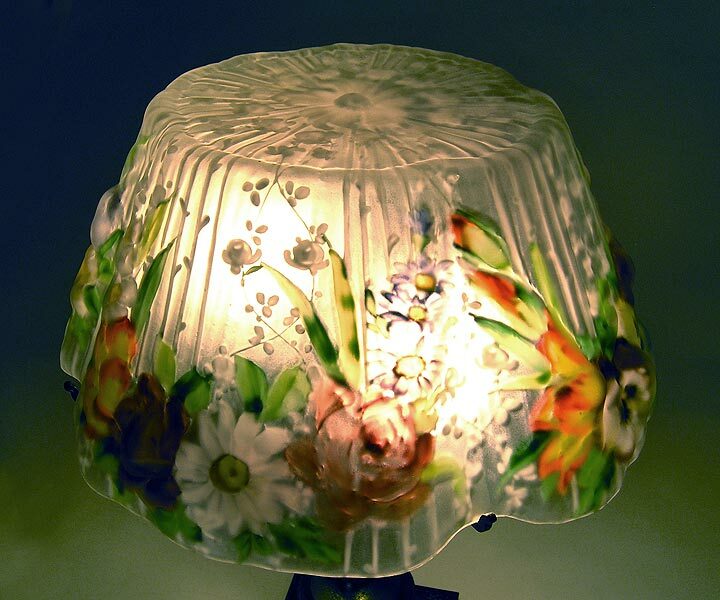 This is one of the prettiest Pairpoint puffy lamps I've had in quite a while. 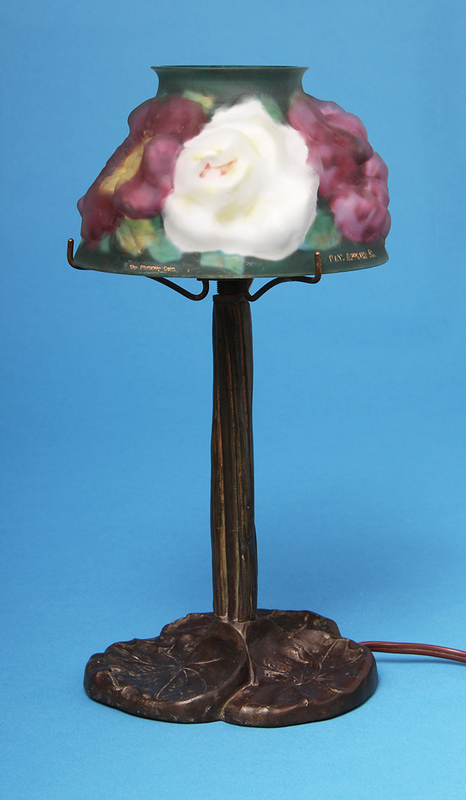 It's a Marlborough puffy with Garland Bouquet decoration, in the very desirable closed-top version. 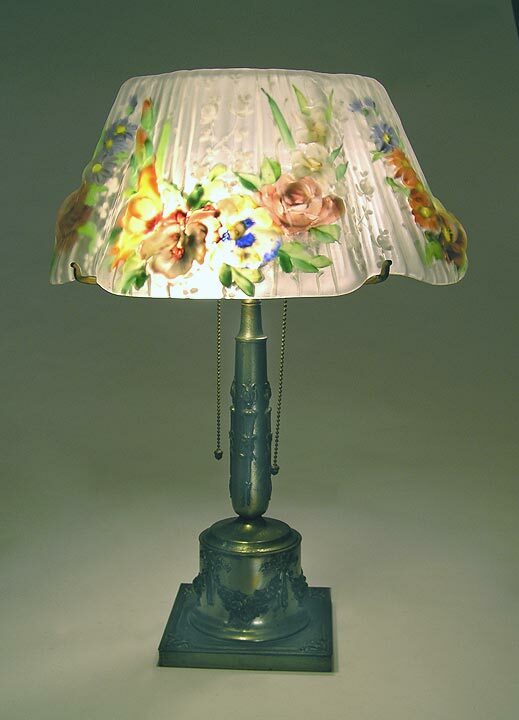 There are different flowers all around the lamp, including roses, irises, daisies, gladiolus, and pansy. The lacework in the background is outstanding. The shade is in original super condition without any chips. The base has some wear to the original brass finish, but it's perfectly acceptable. (It can be replated for those who want it.) Signed. 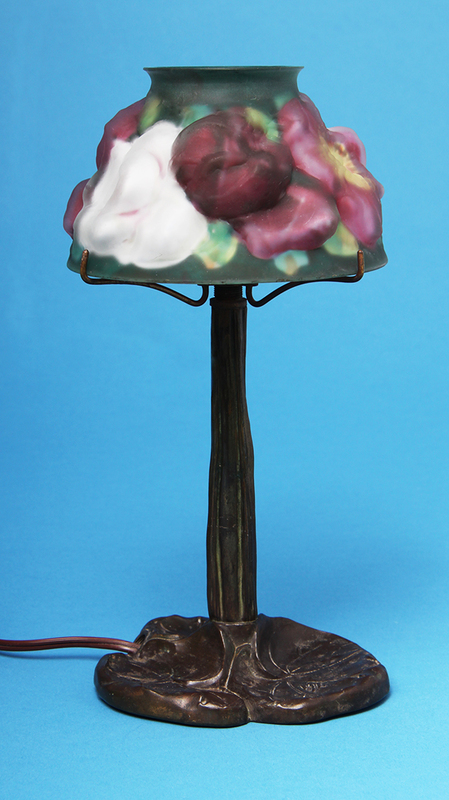 Closed top puffies are the cat's meow and this Marlborough shade painted with Floral Garland decoration is tops. The usual background color is frosted, but yellow is much rarer. 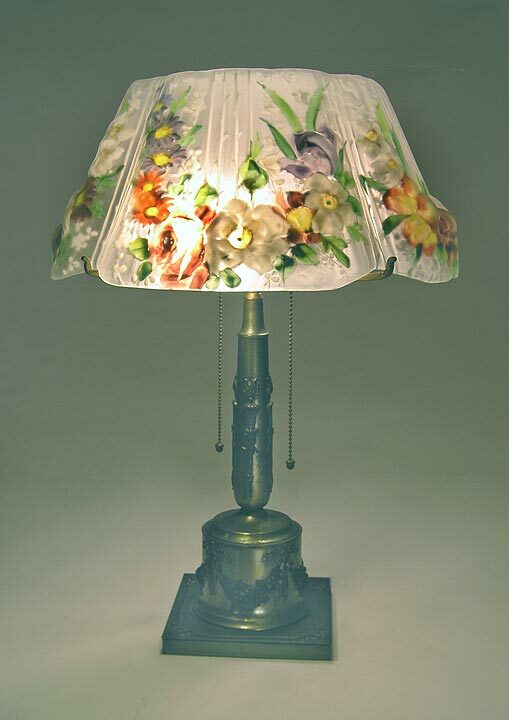 Mint condition with different colorful flowers painted all around. Nice original patina on the base. Signed on both the shade and the base. Multi-color rose puffies are much rarer than examples with only one color rose. 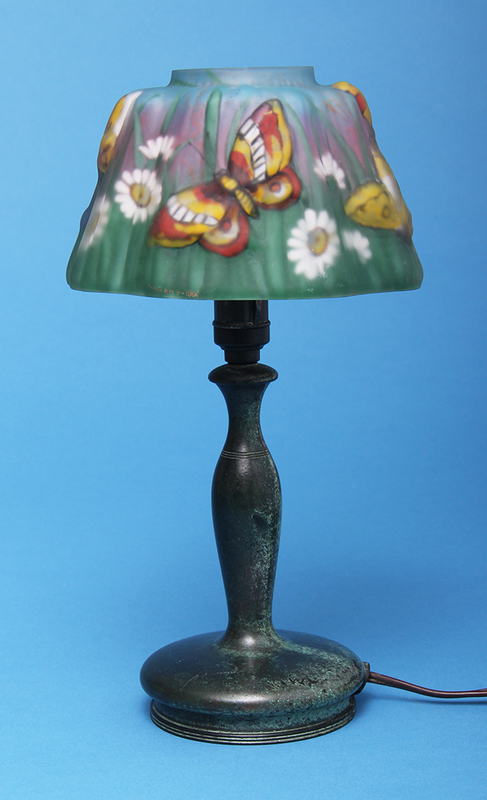 This boudoir lamp is a little beauty, on a very rare base. Signed shade and base. Mint condition.